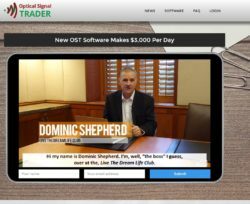 This Optical Signal Trader review proves that it is a binary options scam made to lose your money. It is presented by Dominic Shepherd and George Larson. Shepherd says that his Optical Signal Trader uses a ground breaking technology to trade binary options. It allegedly never has losing trades and can make you over $3,000 per day. And you don’t have to learn anything, because OST software works automatically. 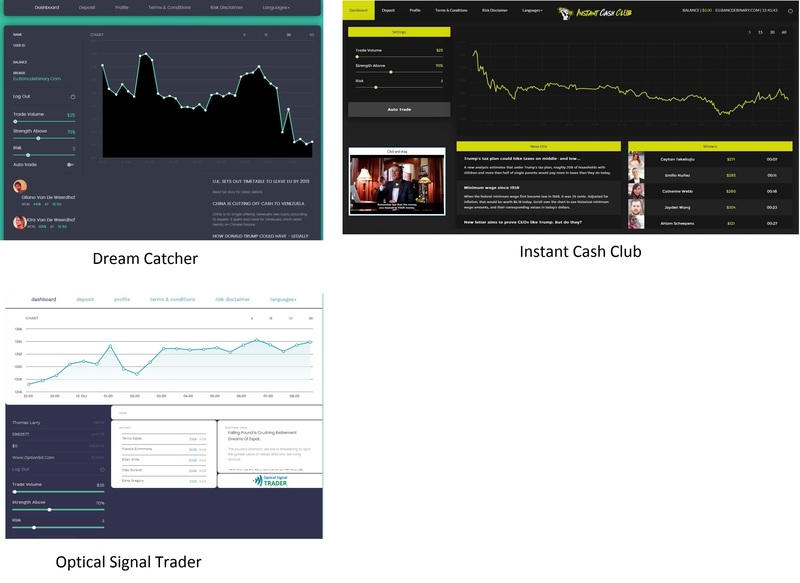 And finally Optical Signal Trader is of course free, because money is free, isn’t it? First of all anybody who says that they can give you a software that does not lose a single trade is a liar. Losing trades are impossible to avoid and they are a natural part of any profitable trading system. Dominic Shepherd is a scammer. In fact he is a fictitious character played by an actor. 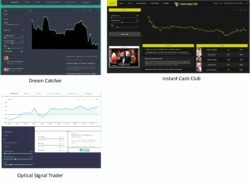 On the Optical Signal Trader website you can see some reviews that allegedly appeared in the New York Times, Bloomberg and BBC. But it is a lie. Neither of these media published anything about Optical Signal Trader. You can check the image on the right or click the links above to see proofs. You can be sure that also all the positive testimonials and reviews you will find about Optical Signal Trader are fake. We did a quick test of the OST software to see how it works. What we have discovered is a well-known money losing software used by scammers only. On the image you can see some other binary options scams that use this same app to scam people, like Dream Catcher. This software loses money to real users, it cannot trade profitably. Now you probably want to know what is the real purpose of Optical Signal Trader. It is very simple, people who stand behind it are affiliated with some binary options brokers that pay them for referring new depositing clients. So if you open a trading account through their OST software and deposit money, they will get paid an affiliate commission by the broker. This is why they made up this story about a miraculous free software that makes money, they want to earn a commission on you, they need you to deposit. But if you do it, their software will lose your money in trading. 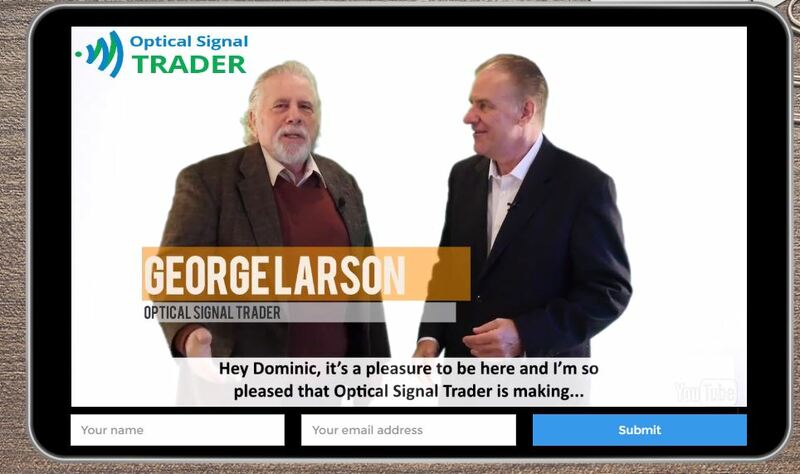 Optical Signal Trader is a scam that will lose your money, because you won’t be allowed to use it before you deposit. So stay away from it! If you want to try binary options trading really risk free, try a free demo account. It will allow you to see how trading really works and what you have to learn in order to achieve real and sustainable profits. Hi, I am not into automated trading, but I would use IQ Options Robots to test my own trading ideas. I would not use robots created by somebody else, because you cannot know how they work. Concerning the reputation of IQ Option, so far we have not received a single complaint about them.